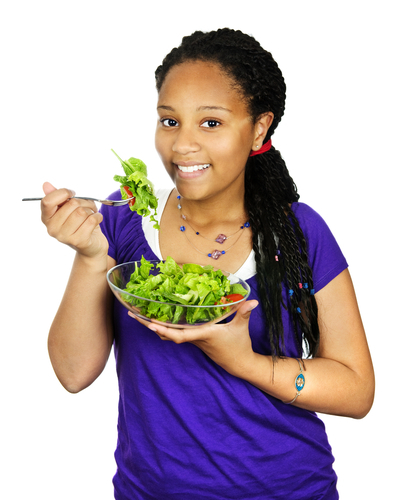 Girls become more conscious about their body image as they grow into their teens, which is why a lot of them would resort to dieting. However, they often end up with trendy diets that promise fast weight loss, but may pose risks to health in the long run. The American Academy of Family Physicians has compiled a list of diets that should be considered as fad diets. South Beach Diet – This diet is very popular among teen girls because it is relatively easy to follow, featuring foods that are easily available in store shelves. The South Beach Diet consists of three phases, which eliminates your cravings, lose about one to two pounds a week, and keep the extra pounds off. It focuses on eating fruits, vegetables, beans, lean proteins, low-fat dairy, and whole grains. The girls are also advised to do Pilates and other low-impact aerobics. Although the premise of the South Beach Diet seems promising, dieters may end up consuming way too few calories. Hollywood Diet – This consists of two different diets created by a single company: The 24- or 48-hour Hollywood Diet and the Cookie Diet. The former encourages dieters to consume the company’s juices, which it claims include essential oils and vitamins that help stimulate metabolism, all while avoiding solid foods for up to 48 hours. Meanwhile, the Cookie Diet replaces all meals with a low-fat, vitamin-enriched cookie, along with a low-fat dinner. The Hollywood Diet is a form of deprivation, according to weight loss experts. Lemon Detox Diet – Singer Beyonce Knowles was said to use this diet to lose weight for an upcoming video shoot. The diet consists of consuming a drink made of lemons, maple syrup, and cayenne pepper, mixed together in a pitcher of water. Weight watchers are recommended to drink six to 10 glasses of this drink throughout the day along with water, while avoiding any solid foods for up to three days. Health experts warn that the Lemon Detox Diet can be dangerous for teens. This entry was posted on Thursday, August 11th, 2011 at 5:28 pm	and is filed under Popular Diets. You can follow any responses to this entry through the RSS 2.0 feed. Both comments and pings are currently closed.